Since its inception Chrysalis has been an organization dedicated to pushing the boundaries of disability services. 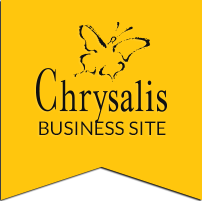 Today, Chrysalis continues its history of innovations and research with dedicated resources and staff exploring employment and community connections for persons with disabilities. The innovations and research department looks beyond Chrysalis to explore, prototype, develop and scale innovations to assist all persons with disabilities. The social and economic value of employment for persons with disabilities. Shared value approaches between non-profit organizations and for-profit corporations. Creation of sustainable jobs through the discovery process and customization of work. How to use Collective Impact for effective change. Share economy connections for marginalized persons. Using human centered design in disability services renewal and development. Creating opportunities for innovation amongst non management staff. Interested in learning more about shared value and social innovation? We’ve gathered a few links from trusted sources to provide a bit more information. Dig a little deeper in papers from Stanford, Harvard, and Oxford.